Have you been wishing for dazzling white teeth but don’t know how to achieve it? Well, you’re not alone, According to studies carried out by the American Academy of Cosmetic Dentistry a lot of people want a brighter and whiter smile. Baking soda is a very popular ingredient that is used to make toothpaste and it has natural teeth whitening properties. Baking soda is mildly abrasive and is potent in scrubbing off stains from the teeth. Baking soda also makes it hard for bacteria to grow in your mouth by creating an alkaline environment. Even though baking soda may not immediately whiten your teeth, you will definitely see the result after a short while, It’s been proven that some types of toothpastes that contain baking soda whiten teeth better than toothpastes that does not contain baking soda. 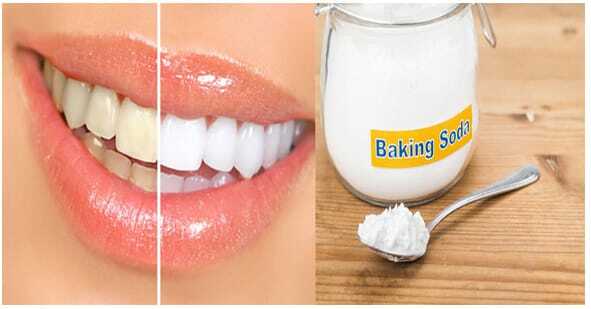 To use the baking soda remedy all you need to do is to buy baking soda from a grocery store around you, mix one teaspoon of the baking soda with two teaspoons of water then put a little of the paste on your brush and brush your teeth with it. You can repeat this for a few more times in a day. Hydrogen peroxide can kill bacteria in the mouth and also helps to whiten the teeth because it’s naturally a bleaching agent. A lot of the whitening products that you see online and in stores contain a very high concentration of hydrogen peroxide. Studies have shown that toothpaste that contains 1% hydrogen peroxide and baking soda which can whiten teeth significantly. Further studies also show that brushing with toothpaste that contains hydrogen peroxide and baking soda twice in a day can whiten your teeth by 62% in just six weeks. 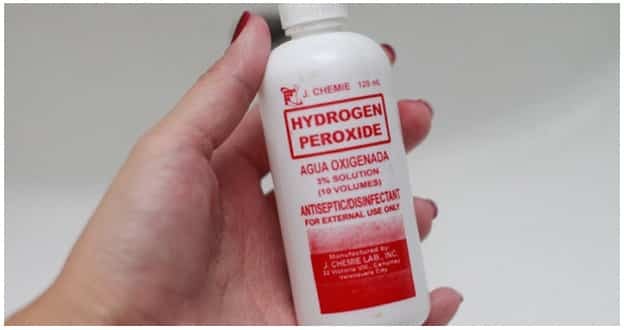 It’s however important to note that using hydrogen peroxide in high concentrations can cause gum irritation and painful sensations, it could also lead to cancer. It is, therefore, safe to use it in a low concentration preferably as a mouthwash before you brush. The safest range of concentration of hydrogen peroxide ranges from 1.5% to 3%. Asides from being used as a mouthwash, you can also mix hydrogen peroxide with baking soda to make a paste that you will use to brush your teeth. To get this paste, just mix two teaspoons of hydrogen peroxide with one teaspoon of baking soda. Not only is apple cider vinegar a disinfectant, but it is also a natural cleaning agent that can kill bacteria in the mouth. It can also be used to whiten teeth. It’s important to note that using apple cider vinegar too often may erode the enamel and soften your teeth. To avoid harming your teeth, you can use apple cider vinegar as a month wash, all you need to do is to dilute it with water and then swish it around in your mouth for a few more minutes. Also, ensure that you rinse your mouth with water after using the mouth wash. Using apple cider vinegar will whiten your teeth after a few uses. If you are looking for a very easy and inexpensive way to whiten your teeth naturally, then you should consider using activated charcoal. Activated charcoal can be used to clean out dirt from the teeth. Activated charcoal is much like the regular charcoal you use, it is however made for medical purposes; it is created by heating the charcoal using a gas that will create large pores in the charcoal which will trap chemicals. Activated charcoal is tasteless and odorless and safe to use on your teeth. It is however important not to scrub the charcoal too much on your teeth to avoid eroding the enamel of your teeth. 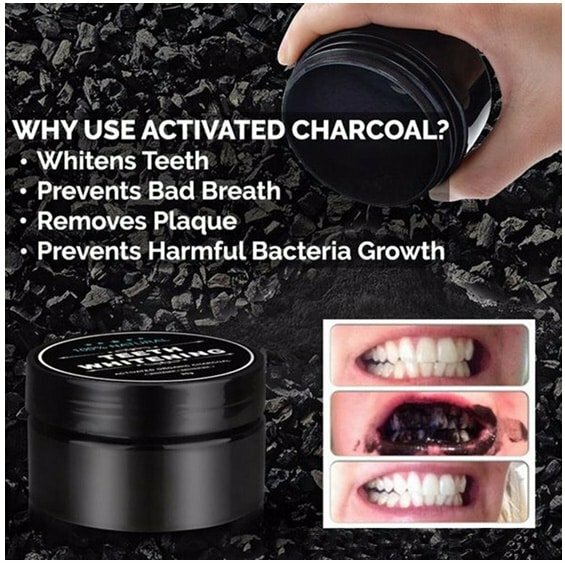 When using the activated charcoal ensure that you slightly graze your teeth to avoid chipping or scratching or even damaging your teeth. Do not use activated charcoal if you have an open cut, wound or abrasion on your mouth. To be able to use activated charcoal to whiten your teeth, all you need to do is to crush one charcoal tablet into a powder, after crashing it into fine particles, dip your toothbrush in water to make it wet then dip the wet brush into the crushed charcoal particles. Next, brush your teeth with the activated charcoal. You can leave the activated charcoal mixture on your teeth for about three minutes before rinsing it out. After a short while, your teeth will become naturally white. Even though this may sound weird, it is actually very potent. 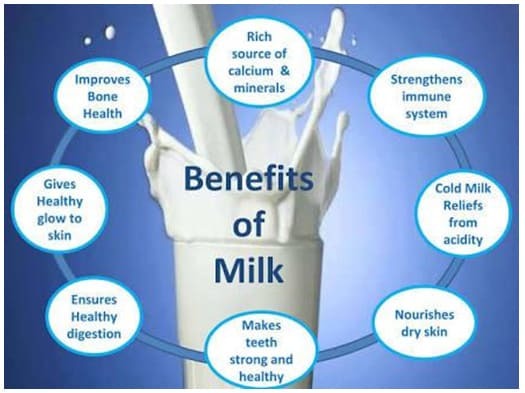 Powdered milk is a sure fire way to make your teeth pearly white and also keep them healthy. All you need to do is to put your regular toothpaste on your toothbrush and then add a little quantity of powdered milk on top of the toothpaste and then brush your teeth. Ensure to rinse your mouth properly after brushing. After a short while, you will notice that your teeth will become whiter than they use to be. 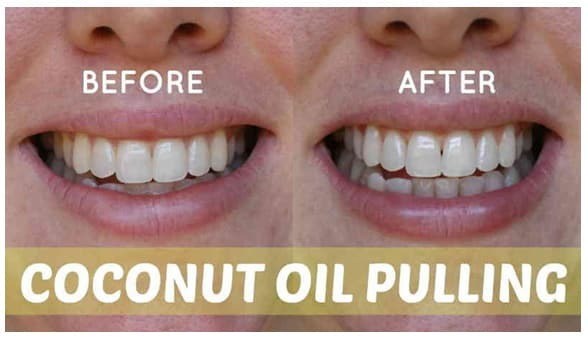 This is a very effective method to get your teeth white in a day, as oil pulling is a proven and tested technique that eliminates bacteria and plaque exposing brighter, whiter teeth. What’s more, coconut oil is an organic antibacterial and it also aids in fighting off gum disease. Basically, all you need to do is put a tablespoon of natural coconut oil into your mouth and swirl/swish it in your mouth, just like you do with mouthwash. Do this for 5 to 20 minutes. Spit it out, cover your toothbrush with baking soda then brush your teeth. As already seen, baking soda is abrasive and it will assist in buffing out surface stains. 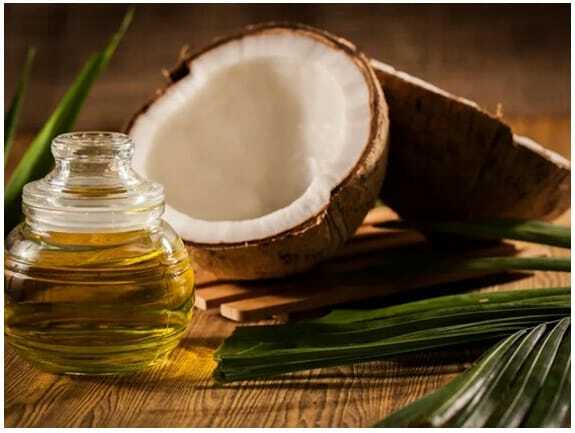 Coconut oil is a powerful natural teeth whitening that can be utilized in numerous ways to achieve different degrees of results. All you need to do in order to create an essential oil whitening toothpaste is mix equal portions of peppermint oil, coconut oil, spearmint essential oil, baking soda, and cinnamon bark oil. After creating this toothpaste you can use it to brush at least two times a day and you’ll see how powerful its teeth whitening effect is. It’s important to state that the mint oil is for the sole purpose of giving the toothpaste a delightful flavor. The main ingredients for this toothpaste are turmeric powder, spearmint essential oil, natural coconut oil, some drops of peppermint oil. 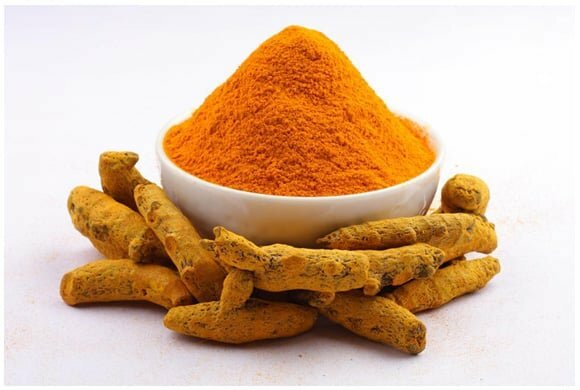 Now, turmeric powder and coconut oil are a powerful combination of plaque and effortlessly remove it. Furthermore, they are also antibacterial and anti-inflammatory. This ensures that your teeth are whitened and your gum kept healthy. 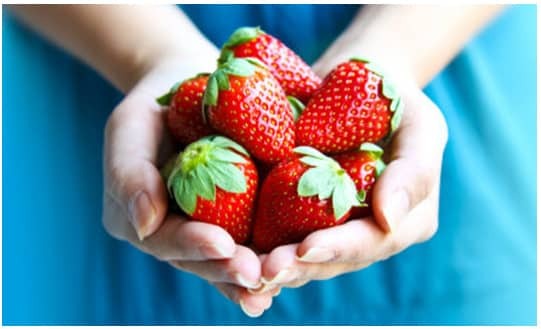 Strawberries possess malic acid, which is utilized in numerous dental products to aid in teeth whitening and assist in the removal of surface stains. What’s more, baking soda helps to remove discoloration due to its abrasive nature. So, if you desire to make this paste, simply crush and mix a large strawberry in half a teaspoon of baking soda. Do this until it’s well blended and becomes smooth. Next, spread the mixture all over your teeth and leave it there for 5 minutes. After 5 minutes is over you can rinse it off and brush using baking soda or your regular toothpaste in order to get rid of any berry residue. Banana peels have an extremely high level of minerals such as manganese, potassium, and magnesium. These minerals are absorbed by your teeth and this whitens it. 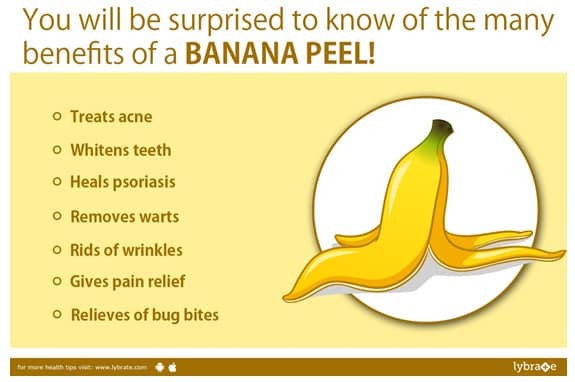 All you need to do is get a banana peel and softly rub its inside on your teeth for about two minutes. After this, you can now brush with baking soda or your normal toothpaste to get rid of any banana peel leftovers on your teeth. Every single tooth whitening technique has to obey the “time on teeth” rule. Excluding, the various abrasive methods which basically buff stains away, all whitening methods whether natural whitening or conventional bleaching are dependent on time to eliminate stains from your teeth. This is the reason why most commercial kinds of toothpaste for whitening teeth rarely work because they do not spend enough time on your teeth to carry out the whitening job. So regardless of whatever method you opt for, ensure it stays on your teeth for some minutes before going ahead to rinse or brush. Everyone loves how TV personalities have flawless dentition with no discoloration whatsoever and wish they had the same. Well, it doesn’t have to be a wish anymore. Following the techniques listed in this article, you can get such glistening, and healthy dentition. Do I need teeth Removal (A Dentist's Advice)?